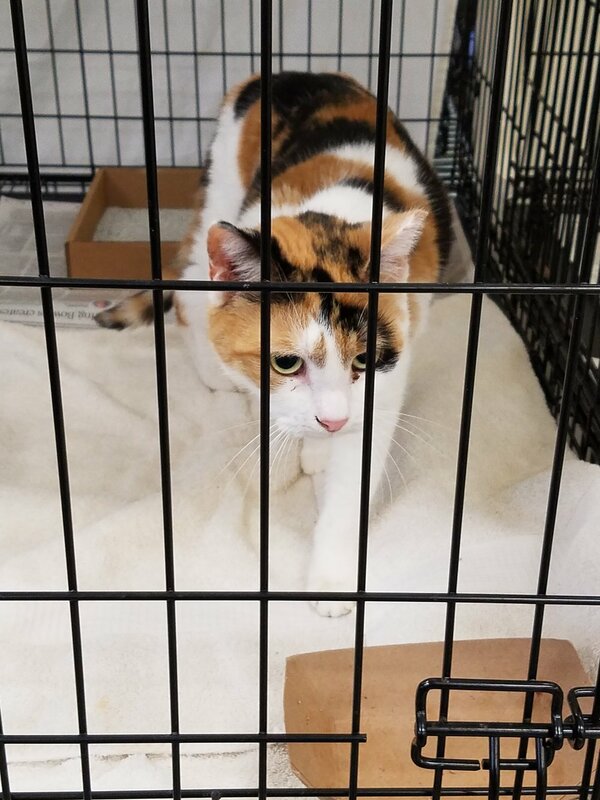 (February 13, 2017) Madison, NJ, A call for supplies and adoptions follows the intake of over 130 cats from an overwhelmed animal rescue in northern New Jersey on Sunday, February 12th. 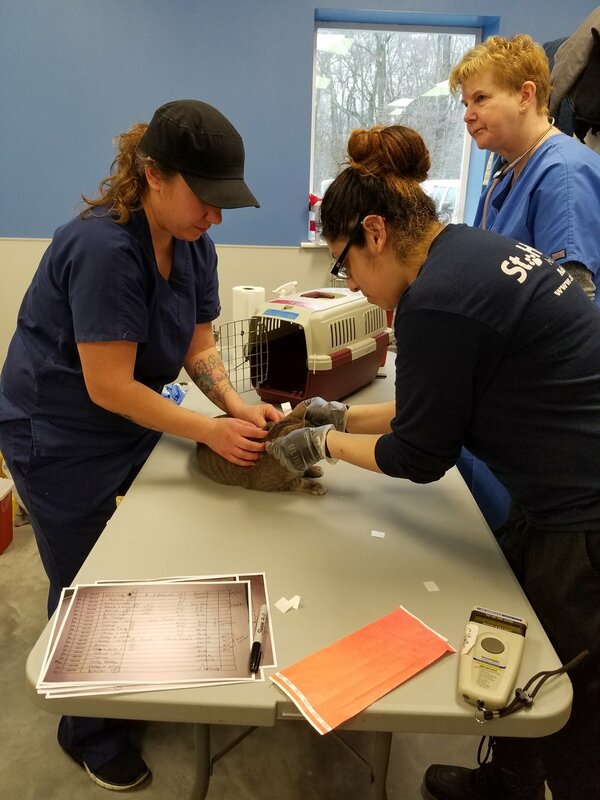 People for Animals and St. Hubert’s worked together to remove the cats in icy storm conditions and bring them to St. Hubert’s Madison campus for immediate triage, vaccinations and care. “We were asked to assist the rescue who does good work in the community but had simply gotten overrun,” said Jane Guillaume, Executive Director of People for Animals. “We could not have responded at this level without our friends at St. Hubert’s.” she added. Guillaume had contacted St. Hubert’s on Friday morning requesting assistance. A team of combined staff removed the cats from the property and provided initial care at St. Hubert’s. Although some of the cats had vaccines, records were unavailable and citing health and well-being, the groups provided about a hundred cats vaccinations upon arrival at St. Hubert’s and were examined by Dr. Laurie Heeb, a veterinarian onsite from People for Animals and two veterinary technicians, Valerie Wilson and Jennifer Gomez, from People for Animals and St. Hubert’s, respectively. The remainder of the cats will receive vaccinations and veterinary exams on Monday and Tuesday. 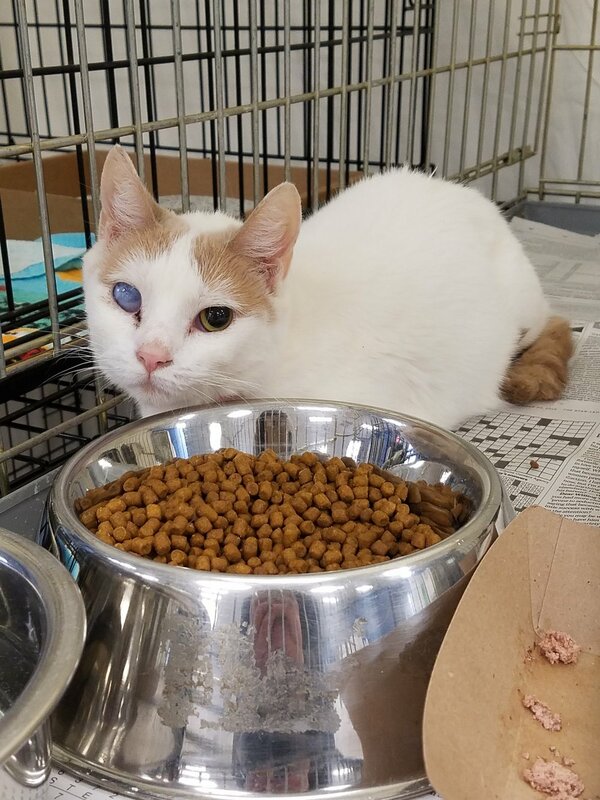 “We appreciate People for Animals reaching out to us and the rescue group whose founder and volunteers were eager to see these cats get the care and help they needed,” said Heather Cammisa, President/CEO of St. Hubert’s. “The importance of productive relationships in animal rescue cannot be overstated, in these situations or in the daily work to advance animal welfare,” Cammisa added. All cats are currently resting and adjusting to their new environment while being observed for health before being placed for adoption. The most common ailment noted by St. Hubert’s so far is upper respiratory infection while some cats are being tested for skin conditions. After triage, People for Animals transported 50 cats to their program. The 83 remaining cats will stay at St. Hubert’s for the foreseeable future until health conditions have been cleared. St. Hubert’s and People for Animals are both in need of monetary donations as well as supplies to care for these cats as they await adoption. The public can immediately help by donating canned cat food, clean towels, plastic scrub brushes, wire ties, washable cat toys, and white copy paper. Both groups also seek anyone thinking of adopting a cat to visit their adoption locations so there is more adoption housing space for these cats. Volunteers have been called in by both agencies to help care for the cats while they recover or are being prepared for placement. St Hubert’s Animal Welfare Center is open seven days a week for adoptions and donation drop offs. To learn more or make a donation, please contact St. Hubert’s, 973.377.7094, www.sthuberts.org, and People for Animals, 973.282.0890, www.pfaonline.org. ABOUT ST. HUBERT'S ANIMAL WELFARE CENTER Founded in 1939, St. Hubert’s Animal Welfare Center is a nonprofit organization dedicated to the humane treatment of animals. Its services to the community include pet adoption and animal rescue, humane education, a pet helpline, pet training, professional education, animal-assisted therapy, and pet loss support. St. Hubert’s Animal Welfare Center has shelters in Madison, North Branch, and Ledgewood, NJ, a dog training school in Madison, and a PetSmart Charities Everyday Adoption Center at the PetSmart in Mt. Olive. For more information about St. Hubert’s, visit www.sthuberts.org or contact the Madison shelter at (973) 377-2295, the North Branch shelter at (908) 526-3330, the Ledgewood shelter at (973) 347-5469, or the Everyday Adoption Center at (973) 448-7601, ext. 7. ABOUT PEOPLE FOR ANIMALS Founded in 1980, People for Animals, Inc. is an independent nonprofit animal welfare organization not affiliated with any other Humane Society or any national or local animal welfare groups. They were chosen by the State of New Jersey to participate in a pilot program to reduce animal overpopulation, and in 1985, opened the first Low Cost Spay/Neuter Clinic of its kind in this State. 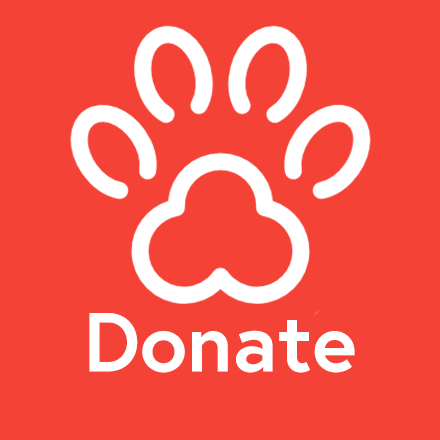 People for Animals relies entirely upon private donations, grants, bequests and fund raising events to care for more than 22,000 animals the organization provides services for each year. People for Animals has three locations; Hillside NJ, Clayton NJ, and Robbinsville NJ.